Share the post "Roses: Interesting Facts of the Best Known Flowers"
Rose is one of the best known and most favorite plant in the world. There are about of hundred species of roses, which vary widely in color, shape, and climate preference — tea roses, however, are the most common. Majority of them are native to Asia, while others originate from Europe, North America and Africa. Roses can be found throughout the world. Wild roses can survive in various habitats, except those associated with extremely cold winters. – Size of rose depends on the species. Flower can reach from couple to 33 inches in diameter. Certain species can reach 23 feet in length. – Most species of roses are deciduous, with few species that belong to the group of evergreen plants. – Majority of roses form bushes or grow by climbing over other vegetation. Rose is classified as a shrub even though some don’t look like shrubs for example the climbing rose. – Rose shrubs are used as landscape plants for hedging (the thorns can discourage intruders) or planted on hillsides as a slope stabilizing method to stop soil erosion. But the most commonly it is used as an ornamental plant grown in the garden for its beautiful flowers. 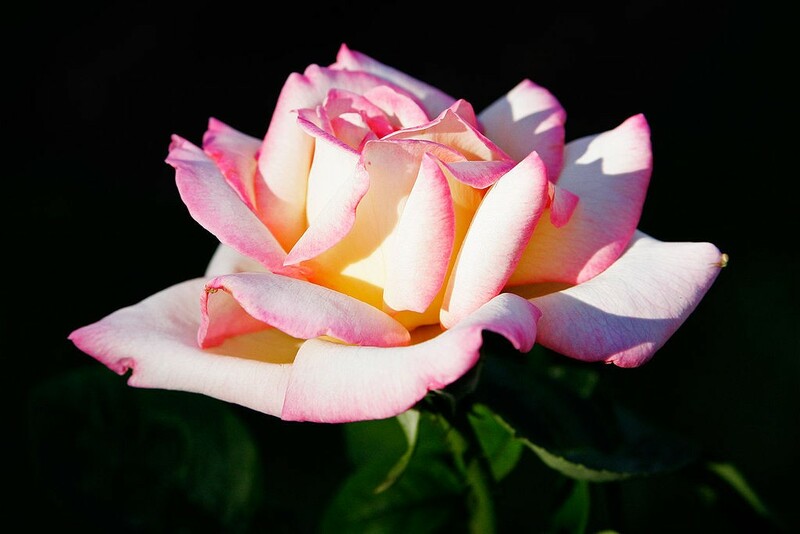 – Rose can be found in different shades of white, yellow, pink, orange and red colors. Blue and black roses do not exist. A “black rose” is not actually black it is usually a dark red. – Each color of the rose symbolizes certain value. Red rose is a symbol of love, yellow of friendship, orange of enthusiasm, white of purity and pink of joy. – Wild roses have 5 petals and 5 sepals. Large number of petals is a result of mutation and it can be seen in cultivated roses. – Roses are well known by their prickles. They look like hooks which facilitate bonding to the other plants (in the climber types of roses) and protects stem from herbivores. – We usually call the sharp spikes on the stem of a rose bush “thorns”. But these are in fact technically prickles. – Even though prickles are strong and sharp, certain species of deer are able to eat roses. – Besides large herbivores, insects and spiders often attack roses. Fungal diseases can induce significant damage to the cultivated roses. – Wild roses bloom once per year. They are pollinated by insects. – A rose hip is a fruit of the rose. The berry-like hip is usually red in color but some can be dark purple or black. It is a rich source of vitamin C. Rose hip can be turned into jams, marmalades or it can be dried and used to make tea. Hip seed oil is also used in skin and makeup products. – Cherries, apricots, apples, peaches, plums, pears and almonds are relatives of the rose. – Rose water and rose syrup are used in cooking. 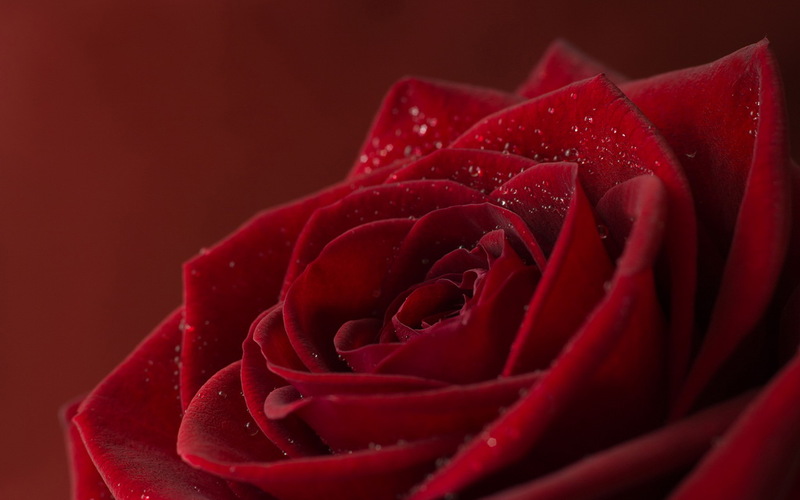 – Rose oil is an important ingredient in the perfume industry. Extraction of minimal amount of this oil requires huge amount of roses (one gram of oil is produced from two thousand roses). The nice scent of the rose comes from microscopic perfume glands on the petals. – Roses are old plants. The oldest fossilized imprint of the rose was left on a slate deposit found in Florissant, Colorado. It is estimated to be 35 million years old. – Cultivation of roses started 500 years BC and resulted in creation of 13 000 varieties of roses. – According to the Guinness Book of World Records, roses are the oldest species of plant to be grown as decoration. Ancient Romans cultivated the flowers to decorate buildings and furniture, and even laid rose petal carpets. – Roses are often used in literature and songs. – Napoleon used to gift his officers with bags containing rose petals in order to boil them with white wine so that they could cure themselves from lead poison that emerged from bullet or shot wounds. – Rose petals can be used to make jam and drank by mixing it with water to cool down the body. It also prevents some heart problems. – The name “Rose” is often used as a girl’s name. – Roses can survive long period of time. Rose that covers the wall of the Cathedral of Hildesheim in Germany has over 1000 years. – Historically the rose was of great importance to the Romans and Egyptians. Romans would use them as room decorations, or wear them on string around their neck and anything, which was said “under the rose” was deemed to be a secret. The famous Cleopatra of Egypt was believed to have covered the floor of her palace room with roses before Mark Antony visited her. – Traditionally England is signified by the rose, it is the country’s national flower. The rose came to prominence there during the ‘Wars of the Roses’, 1455 to 1485 when the house of Lancaster was represented by the red rose and fought against the house of York which was represented by the white rose. – On October 11th, 1492, the crew of Columbus picked out the branch of a rose from ocean which was a hint that there was a presence of beautiful land beneath. Literally next day, America was discovered by Columbus. – In 1986 the rose also became the floral emblem of the United States. It is the official flower of four states including the state of New York, Iowa, North Dakota and Georgia. – In 1994, U.S. flower buyers purchased over 1,200,000,000 roses. This works out to a per capita consumption of 4.67 roses per person. – About 60% of the roses grown in the U.S. are produced in California. – The most expensive and exclusive rose in this world costs £24.49 which are the breed of some multicolored roses. – Compared to other rose colors, the one which counts the high sales is none other than “Red Roses”. – Rose is sometimes used in folk medicine to relieve stomach pain and to treat cancer. Do you grow Roses in your garden? What is your experience with this plant? Please share in the comments below! Do you sell Rose seeds or have plants for sale? You can place your advertisement here. Contact us now!